CloverDX Runtime is one of architectural layers of CloverDX Designer. It takes care of running graphs and subgraphs. Current state of CloverDX Runtime can be seen in the right bottom corner of the perspective. 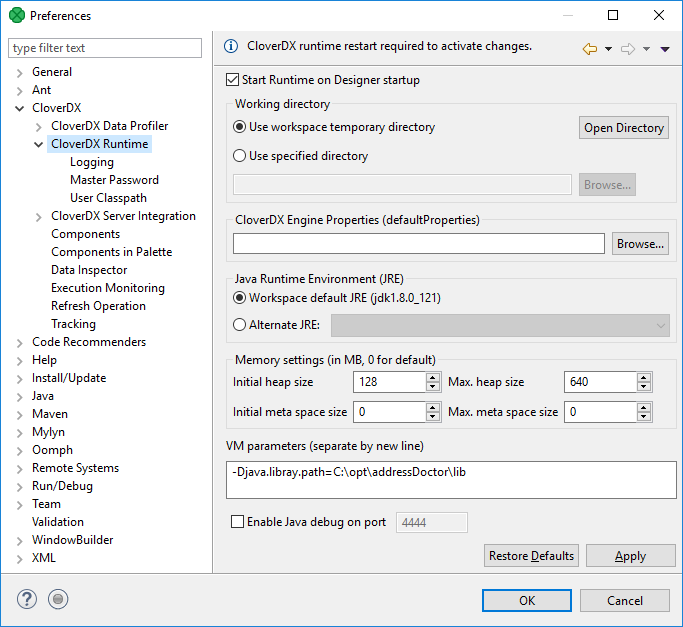 CloverDX Runtime is configured in the Preferences dialog: open Window → Preferences and choose CloverDX → CloverDX Runtime. 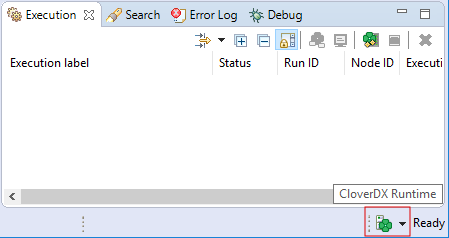 The temporary disk space is necessary for debug files. You can store temporary files either into a temporary directory within the workspace directory or into a user-defined directory. Change max record size, etc. See Engine Configuration. You may define an alternative JRE to be used. It is important to define some memory size, because Java Virtual Machine requires memory to run graphs. Additional libraries can be added to the classpath. 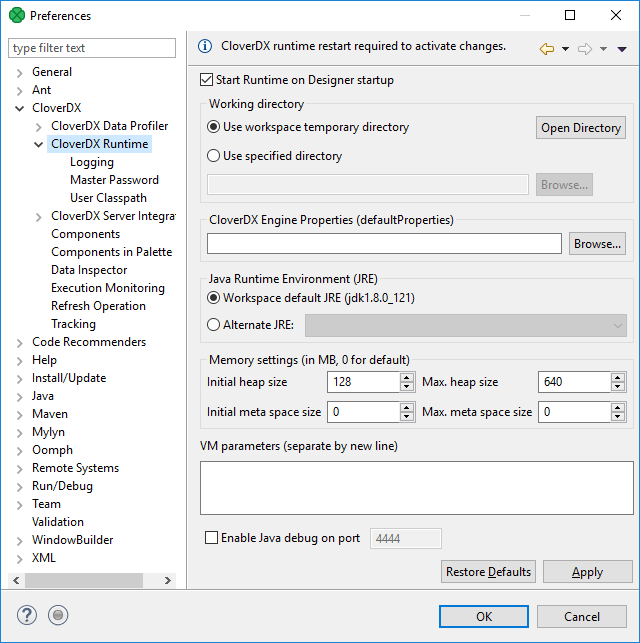 To take effect of the changes in runtime configuration, restart of CloverDX Runtime is needed. The runtime menu is accessible in the right bottom corner of CloverDX window. To add an external library to the CloverDX runtime's classpath, the -Djava.library.path=path/to/library option should be used. To add libraries located in C:/path/to/lib, type -Djava.library.path=C:\path\to\lib into the VM parameters field. There are two flavors of JVM: client and server. The client system (default) is optimal for applications which need fast start-up times or small footprints. Switching to server mode is advantageous to long-running applications for which reaching the maximum program execution speed is generally more important than having the fastest possible start-up time. To run the server system, Java Development Kit (JDK) needs to be downloaded.